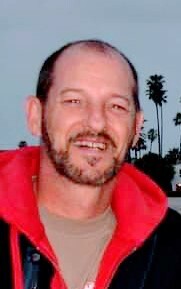 Obituary for Samuel Lee Cook | Cremation Services of Kosciusko County, Inc.
Samuel Lee Cook, 59, of Etna Green, IN passed away on Saturday, January 12, 2019 at his residence. He was born on April 26, 1959 in Warsaw, IN to George Luther & Alice G. (Ulmer) Cook. He grew up in Indiana, formerly lived in Michigan and Virginia, and resided in California for the last 20 years before moving back to Etna Green in October of 2018. He graduated in 1977 from Triton High School in Bourbon, IN and attended Franklin College for 2 years and Purdue University for 2 years. He was an artist/painter and worked as a waiter for several restaurants throughout his lifetime. He was preceded by his parents, 2 sisters – Joan Sanford & Becky Collins, and brother – Joseph Cook. A memorial service will be held on Saturday, January 19, 2019 at 11:00 a.m. at the Etna Green United Methodist Church, 131 W Broadway St., Etna Green, IN 46524 with Pastor Joseph Lampton officiating. Cremation Services of Kosciusko County, 4356 N. St. Rd. 15, Warsaw, IN is in charge of arrangements. Preferred memorials may be given to Great Lakes Caring, 7030 Pointe Inverness Way, Suite 230, Fort Wayne, IN 46804.